NCR Corporation (NYSE: NCR), a global enterprise technology company, today announced that Douglas Brown is named General Manager for Digital Banking in NCR’s Banking Business Unit. Brown was most recently at FIS, where he was Head of Digital and Mobile for the North American banking division. He was previously Senior Vice President of Mobile Banking at Bank of America. A report last month in Magnify Money named the top 10 mobile banking apps in the US. NCR’s Digital Banking solutions power five of the top 10 and three of the top five. 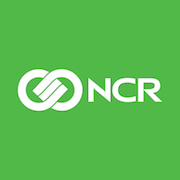 NCR plans to further expand and enhance the solution for customers in 2019, including optimization for the latest developments on the iOS™ and Android™ platforms, a refreshed and responsive user interface for Business Banking, and a new Experience Groups tool that enables customers to segment users based on their individual financial needs. NCR Digital Banking solutions are built on an open platform to support new and unique experiences financial institution customers want to deliver. Over the next year, NCR will open the platform even further by offering a greater number of APIs and enhanced developer tools inside a new Developer Portal. NCR Corporation (NYSE: NCR) is a leading software- and services-led enterprise provider in the financial, retail, hospitality, telecom and technology industries. NCR is headquartered in Atlanta, Ga., with 34,000 employees and does business in 180 countries. NCR is a trademark of NCR Corporation in the United States and other countries.